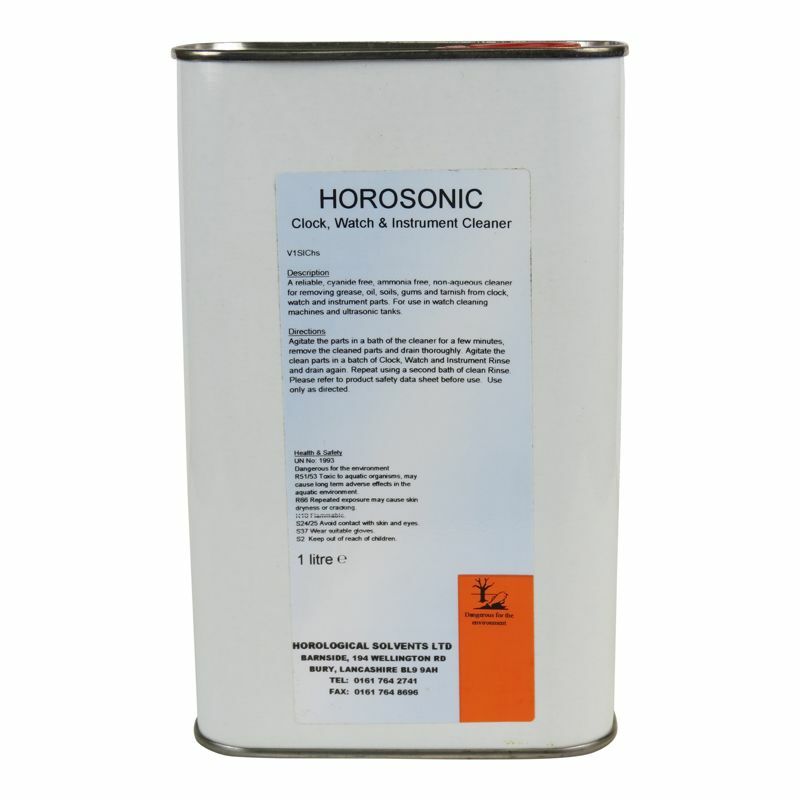 A reliable cyanide free, ammonia free, non-aqueous cleaner for removing grease, oil, soils, gums and tarnish from clock, watch and instrument parts. For use in watch cleaning machines and ultrasonic tanks. Agitate the parts in a bath of the Horosonic Cleaner for a few minutes. Remove the cleaned parts, and drain thoroughly. Agitate the cleaned parts in a bath of Horosonic Rinse and drain again. Repeat, using a second bath of clean Rinse. Please refer to product safety data sheet before use. Only use as directed.